They are generally Nocturnal and hang out in trees. AUSTIN -- Health officials in Elgin say they have seen three reported cases of kissing bugs in the city, researchers say all-together there have been 600 found in Texas. Of the reported cases, none have infected humans, though there are many cases of Chagas in dogs across the state. The kissing bug is also known as the cone-nose bug, Mexican bed bug, and assassin bug. Health officials say they feed on blood at night and are called kissing bugs because they like to bite humans around the mouth or eyes. Rachel Curtis, a doctoral student in the Department of Veterinary Integrative Biosciences at Texas A&M University says they have received over 600 bug samples from across Texas. Curtis says, so far, they have identified seven species in the samples since the citizen science initiative began in May. Texas is home to seven species, most are around one inch long. Curtis says the samples they have tested are coming in from all over the state, including Dripping Springs, Elgin where three were found, Waco, College Station, San Antonio, Laredo, Del Rio, and Johnson City. Most cases have been from Central Texas communities as far south as Mission and as far North as Lockney [near Lubbock], and as far West as Rocksprings [near Uvalde], and just East as College Station. 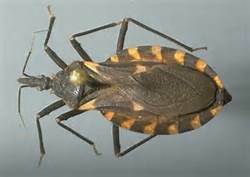 Kissing bugs are particularly dangerous because they can harbor a parasite which causes Chagas disease. Even without the parasite the bugs can sometimes cause an allergic reaction. Curtis says they are also a big concern for dog owners as they can attack the dog. “We’ve tested quite a few bugs so far, about 20 percent of the bugs tested came back positive for the parasite that causes Chagas, [though] previous research has found 50 percent infection prevalence in the bugs,” Curtis tells KVUE News. Health officials say Chagas disease can affect the heart and digestive tract, and sometimes causes death. There is currently no vaccine for Chagas and of the few medications available, most are not effective. 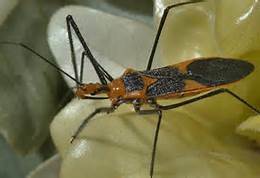 Curtis told KVUE News there is not a lot of historical data available about the kissing bug, but a previous find in west Texas unearthed native American remains which showed infection with Chagas disease. She says the kissing bug can be traced in Texas as far back as the early 1900’s. If you spot a kissing bug, experts say to thoroughly clean surfaces they may have come into contact with and never touch the bug with bare hands. Curtis says TAMU researchers are trying to find out which sort of habitat the kissing bugs like to live in and which sort of environmental factors lead to their presence. 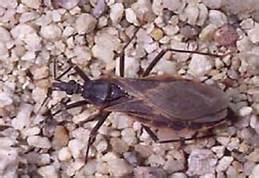 Contact the Texas A&M Research team if you believe you’ve seen a kissing bug or want to submit a sample for testing. Make sure to store the bug in a plastic bag or container, note where and when it was found, and what it was doing at the time (flying, walking, etc. ).